The TeeJet Orifice Plate is designed as a part of the flow regulator assembly and it functions by providing a hole in the center of the plate where liquid is able to pass through at a specific rate. These orifices are available in over 80 different sizes to provide for a variety of desired flow rates. 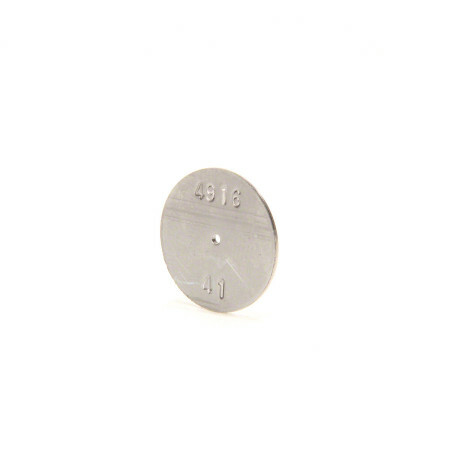 TeeJet Orifice Plates are available in a wide range of sizes with over 80 different sizes to choose from. Use the formula listed below to figure out what size orifice you need for you application. Note: Always insert orifice plate with side marked with number facing the outlet. I have used these plates for several years. I just wanted a different size. They are excellent for metering liquid fertilizer.